volumes of my self-love, my strength, my gifts that I now have found. HeartScape is a unique work of art just for you. You not only get the experience of going through the process and knowing you have your own personal unique work of art that has come from your heart, from what you communicated and co-created with the artist. This is sacred. What your heart tells you about the love you should always have for yourself. Then you have a touchstone and on-call reminder of your HeartScape experience and the confidence in yourself that it has given you. When you want inspiration, you will be able to look at your HeartScape painting and be re-inspired. 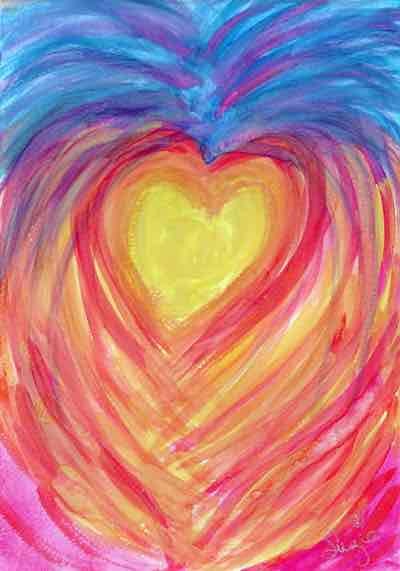 When you are doubting yourself, you will be able to look at your HeartScape painting and be re-energized. take your “going within” to another level. This is a transformative process which results in a one-off painting Suzie makes for you, following an initial one-on-one consultation where Suzie works with you to help you identify your divine purpose, through becoming attuned to the whispers of your heart (your inner wisdom). 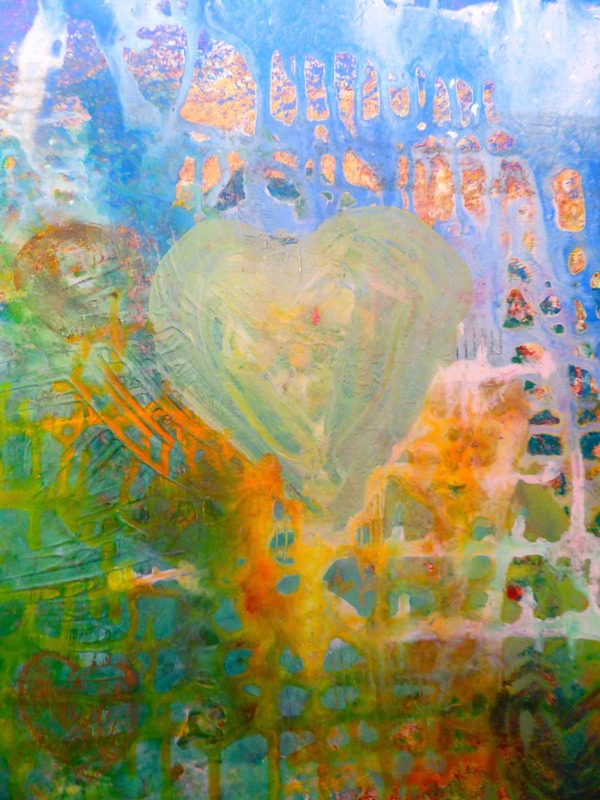 Your unique, personal Heartscape paintingcreated through a deeply personal process of discovery which the artist conducts with you, provides an ongoing, visual point of focus, for reflection, meditation and inspiration. More than just another painting, your Heartscape, created by me with love as an intuitive guide in consultation with you, will be attuned to the vibrational energy of your Higher Self, and will serve you well, and support you in keeping your heart open and being attuned to your heart’s most subtle whispers and sustained on your journey to freedom. What is a HeartScape Portrait/Painting? This is a co-creative journey that you, your heart and your energy will be involved as the painting develops. Yes you will be involved at each step You will find it is a deep soulful experience that opens your heart to the core of love. Your Heartscape painting is sent to you as a beautiful, original work of art on high quality paper. With proper care this work will not fade in your lifetime or your children’s’ lifetimes.The work will be ready to frame and we will send you some information at the time about how to get a frame that suits you. Photos of the painting in progress with a channeled message and a tool or activity to support you as you move through this change. The turnaround time from our first session to completion should be not more than 6 weeks and may be much sooner. I just love Suzie and her energy. Suzie was able to help me tap into my inner self and guide me towards a path of knowing what is right for me as far as my business and personal health goes. Suzie’s helping me find the love for myself that I truly deserve. Suzie, you have such a gift for understanding the heart of a question and revealing the clarity needed. I felt completely at ease with you and truly appreciate your heart centered guidance. A PDF book of the whole journey, with all the painting layers, the channeled messages and your responses. You can get this printed out at Lulu, Blurb or your local printer. Ready to color and heal you and your world? Life the life you really really want?